In October of 2005, Melanie’s Law passed in the state of Massachusetts establishing rules for the use of ignition interlock devices. The law required Massachusetts to create an ignition interlock program by January 1, 2006. As a result of Melanie’s Law, drivers who have an Operating Under the Influence (OUI) conviction must have an ignition interlock device in their vehicle if they obtain a hardship license after a DUI conviction. Motorists with two or more drunken driving convictions are also required to have an ignition interlock device installed when they get their license reinstated after their suspension. Our Boston drunk driving lawyers know that ignition interlock devices can help reduce the risk of repeat drunk driving offenses because the IID will not allow a driver to start his vehicle until he has submitted to a breath test. 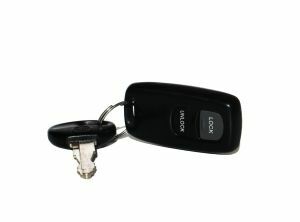 The ignition interlock device connects to the ignition of the vehicle and the driver must breath into the device before starting his car. If a BAC above .02 is detected, the car won’t start. The device will also require drivers to submit to periodic retesting while driving to ensure that the driver doesn’t have someone else take the test for him and that the motorist doesn’t drink while driving. While an ignition interlock device can significantly reduce the chances of a drunk driving offender getting intoxicated and potentially causing an accident, IIDs are only effective if drunk drivers are actually made to use them. As a result, the federal government is now urging all states in the U.S. to require ignition interlocks even for first-time drunk driving offenders who were barely over the legal limit when they were arrested. According to NBC News, ignition interlock devices are around 75 percent effective in preventing individuals convicted of drunk driving from repeating the behavior. All 50 states in the U.S. as well as the District of Columbia require the use of ignition interlock devices under certain circumstances. However, it is not currently standard for most states to mandate IIDs for first-time offenders, especially if the driver’s BAC was only slightly over the limit. In Michigan, for example, only drivers with a BAC of .17 or higher must use the device. Only 20 states currently have a rule in place stipulating that an IID will always be mandated for intoxicated offenders after a first conviction. The new NHTSA model guidelines for state ignition interlock programs, however, want all drunk drivers to be required to install and use an ignition interlock device when they get their licenses back after conviction. The NHTSA has made this recommendation at a time when there was a 4.6 percent increase in drunk driving deaths from 2011 to 2012. In 2011, there were 9,865 deaths caused by drunk drivers while in 2012, the death toll was up to 10,322. Drunk driving deaths could perhaps be prevented if more drivers used ignition interlock devices, especially as Mothers Against Drunk Driving cites studies that a first-time DUI offender will have driven drunk around 87 times before being arrested. Those who habitually drive drunk put themselves and others at risk, and a requirement that they use an ignition interlock device after conviction could help to stop them from making a potentially deadly mistake again after they’ve been caught once.